BIO: Roger Gordon is the CEO of Pure, a pharmaceutical corporation, but he hopes his other endeavour, a transformative clean fuel called Green NH3, will be adopted around the world. ABOUT: While making certain pharmaceuticals using ammonia as a building block, Gordon realized its potential to use the compound as an alternative fuel. He developed and patented the technology to make Green NH3 (an ammonia) a reality. Anything that runs on gasoline – automobiles, airplanes, and factories – can be retrofitted to use it. The big plus is that NH3’s emissions are only water and air, and costs less than 30 cents a litre. Green NH3 has thus far received accolades from Shark Tank’s Kevin O’Leary (who made a promotional video for it), Justin Trudeau, former Saskatchewan premier Brad Wall, and Gord Miller (Former Environmental Commissioner of Ontario). Already a hundred vehicles are on the road using this fuel, including Gordon’s truck, a Ford F350. The cost of transformation is relatively affordable: For automobiles, the retrofit for the engine would only be about a thousand dollars, and the $10,000 refrigerator-sized machine can be leased. Gordon has already received interest from local farmers, and companies like Polaris zinc mine in the Northwest Territories. Additionally, Gordon travelled last summer to Saudi Arabia, where he met with developers, university professors and even a Saudi price to discuss ways to jumpstart Green NH3 in that country. Some farm equipment in the US and Italy are already fitted for the fuel. 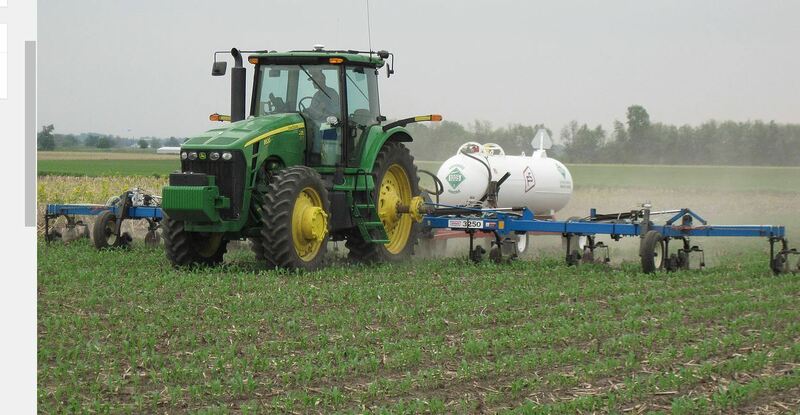 How would the common person utilize the machine that manufactures NH3? Roger Gordon: The machine continually is sucking air in to take the nitrogen, and sucking water in to take the hydrogen. I would prefer you plugged it into a solar panel just to keep the price down if nothing else – and keep it completely green. We are thinking that the tank will be always sitting there… It will constantly be generating so that you will have a reserve when you need to fill the car. We are at a 500 litre a day machine, producing twenty litres an hour. It’s something that people could put in their garages, or eventually, gas stations would have pumps for it. I’m hoping one day, hundreds of thousands of them across the country. What kind of serious interest have you received? Roger Gordon: One of the reasons the Saudis are interested because many of their people own Emirates airline – they see they are spending on some flights $5-$10 thousand in carbon taxes over Europe. They are looking for ways to avoid the carbon tax. General Electric is testing it in their operations; Rolls Royce is going to test it in theirs. It’s just all the regulations and roadblocks. The government, big oil, Canadian Safety Association, it’s all of these hoops you have to jump through. The government has been a threat to growing technology. It’s like you don’t want your daughter to go out with a guy, you can find a hundred reasons why not. It’s so easy to be the stopper. Roger Gordon: I would say, come here and see me use it as a fuel. Nobody disbelieves, but a lot of people think that it’s going to be lambasted by a government entity, who is going to try to figure out a way to keep this from happening. You puncture a gas tank, there’s a possibility of explosion. You puncture an NH3 tank, and…? Roger Gordon: That’s the beautiful thing about NH3. It doesn’t burn or explode. Who do you think will be first on the block to use this widely? Roger Gordon: A northern Eskimo or Inuit community, where they are paying 25 cents per kilowatt in electricity, and we can create it with NH3 for about 10 cents a kilowatt. Those communities and the mining communities in the far north I think will be the first early adopters. It’s just dollars and cents. Why would you pay 25 cents for electricity made from diesel fuel you are flying in? Roger Gordon: I always look at some business, and I see two people doing the job that one person can do. Streamline it.